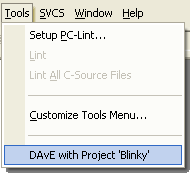 The µVision tools menu can be extended to invoke DAvE with the project file. This allows you to make project changes using DAvE or to create code for various on-chip peripherals. The menu is configured as shown below. 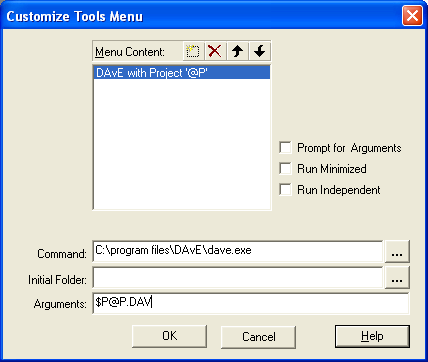 Tools – DAvE starts DAvE with the project file of your current project. This allows you to further modify your project using the Infineon DAvE utility.